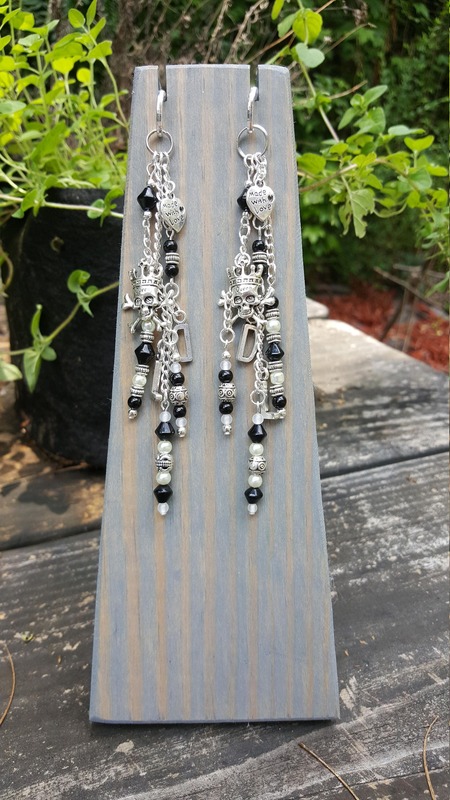 This limited edition bookmark was handcrafted by Kit Rocha and is one of a set of ten. 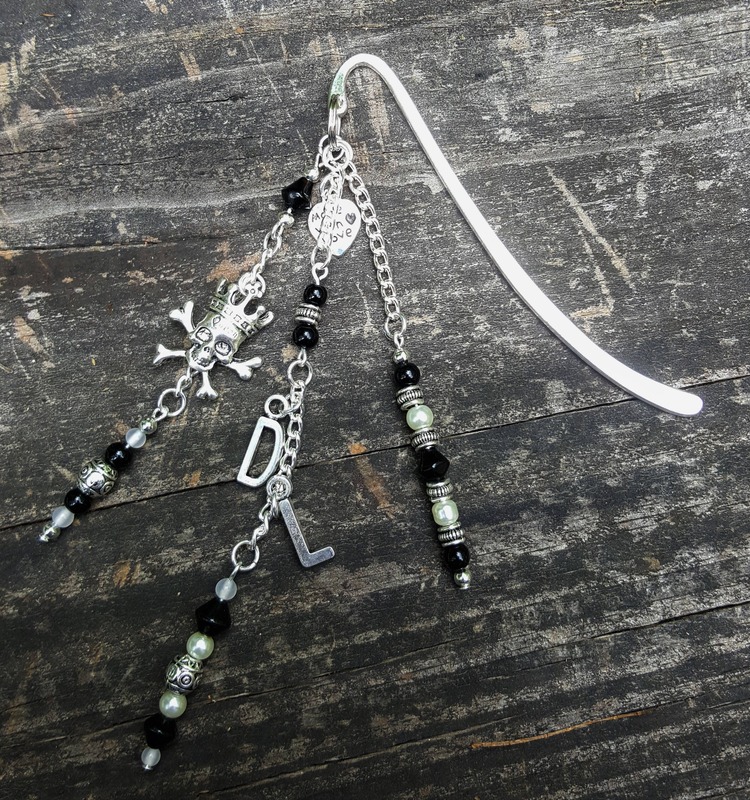 Each bookmark edition is unique and never to be repeated! 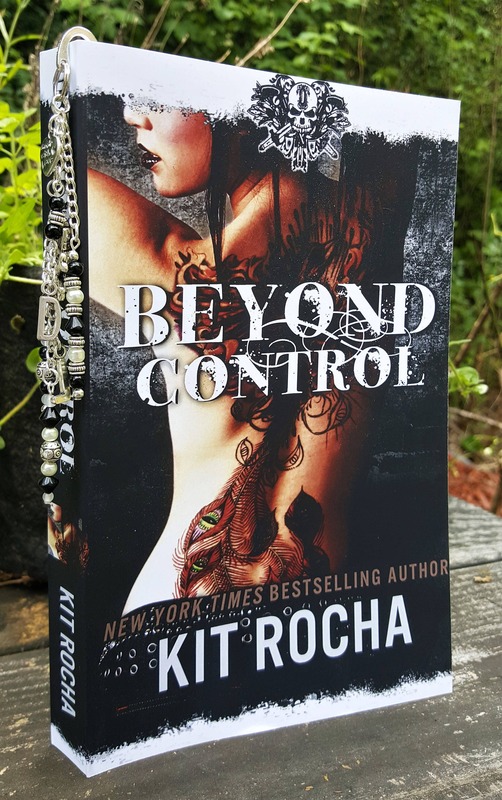 Featuring white, silver & black of the O'Kanes, this bookmark is inspired by Kit Rocha's Beyond Control. 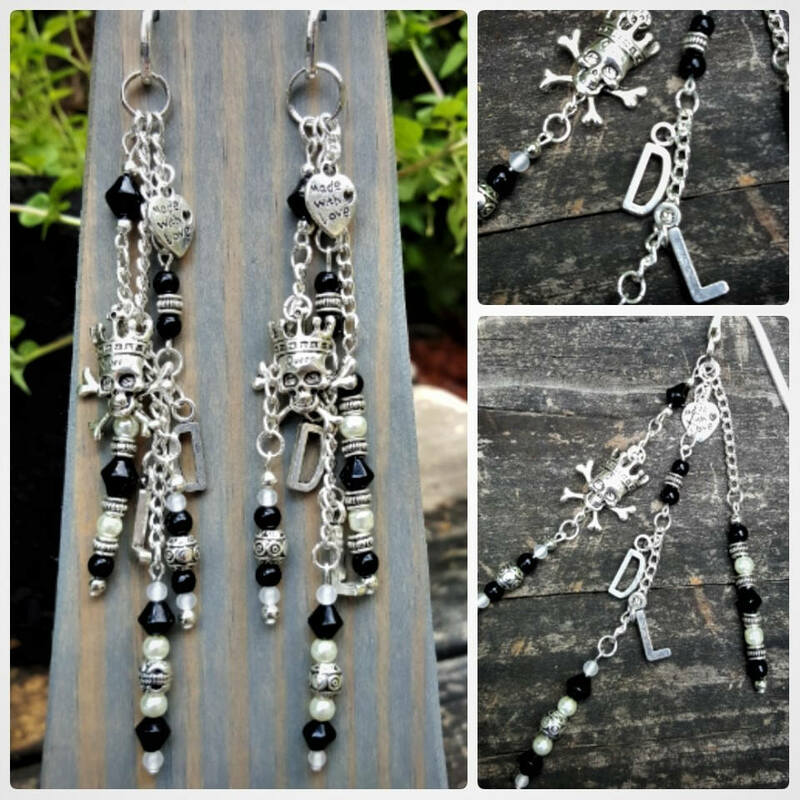 Charms include a crowned skull with the word QUEEN written on it and a D and L for Dallas and Lex, the King and Queen themselves.